Found 2 blog entries for February 2011. Thursday, February 17th, 2011 at 4:50pm. Sarasota is definitely a "Florida golf town." If you’re looking for a Florida golf course community, Sarasota is the right place to look. You’ll find dozens of golf course communities and more than 80 public and private golf courses in the Sarasota, Bradenton and Venice area. Monday, February 7th, 2011 at 12:23pm. 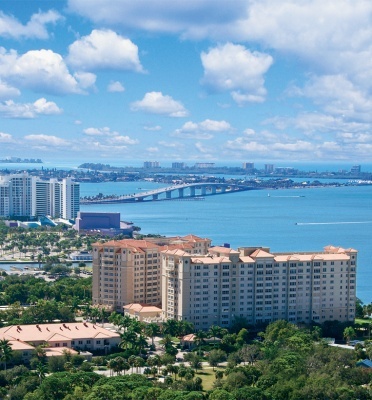 While the media devotes a lot of space and time to highlighting the negative aspects of today's real estate market, there are actually many unique opportunities that exist for savvy buyers in the Sarasota market. This may be your once-in-a-lifetime chance to purchase a first or second luxury home at prices we haven't seen in many years. Buying a high-end property requires a different approach, though. As a Certified Luxury Home Marketing Specialist, I am well versed on the important nuances of luxury home buying and I have the knowledge and resources to help you explore the Sarasota luxury market.